Out of home advertisements are everywhere, from highway billboards to urban centers and public transportation. In an age where online media is king, OOH is seeing growth and innovation. OOH and T.V. are the only offline media projected to increase this year, with other offline media like print and radio in decline. When people are walking in urban areas, driving their cars, taking public transportation or looking up from their phones, they’re finding engaging advertisements in the world outside. OOH advertisements are any ads that one encounters out of the home. This includes billboards, the point of sale, street furniture such as bus shelters, transit ads and wraps, mobile billboards and guerrilla advertising. The cost of OOH is not insignificant and is calculated by Gross Ratings Points (GRP). Each rating point is equal to 1% of the market population, so a GRP of 20 means that 20% of the local market population will see your ad. This cost also changes based on population size and location, so as you can imagine OOH ads in NYC are more expensive than they would be in Upstate NY. In 2018, OOH is projected to see a 3% increase in revenue according to Magna Global, and MyersBizNet predicts a 5.5% increase. With the strength of OOH, now is the time to incorporate it into your marketing strategy. OOH is performing well due to advances in technology, analysis, and targeting, as well as strong creative. Just because billboards aren’t online doesn’t mean they can’t benefit from technology. Outdoor advertising now has software and automation platforms, just like digital marketing. There is also a lot to be said about data, analysis, and targeting. The price of data has lowered in the past years, meaning that small and medium businesses can access the information they need to get the right message to the right people. Huge sets of data are available to target your audience. More advertisers are aiming to reach a specific target audience, rather than just getting their ad in front of the most people possible–and specificity is key to success. Digital billboards can use real-time data and behavioral analysis to deliver the right messages at the right time. You can customize a digital billboard to display different creative at night or during commutes, or even use weather data. What better time to sell sunscreen than when the sun is blazing? OOH ads are also using mobile integration in cross-platform campaigns. For example, billboards can provide a link or code for a coupon or interactive media. Many outdoor ads encourage people to continue the experience online. With a wealth of geographic data, OOH can also make use of geo-fencing and remarketing in their mobile integration. The key to a successful OOH advertisement is to make a simple, impactful statement that encourages the customer to continue the conversation with your brand. You only have a short amount of time to make an impression, since many people encounter these ads while they’re on a go. This is not the time for complex statements or messaging. It can be difficult to catch consumers’ attention, so make sure your visuals are bold and your message is compelling. Brevity is the soul of wit. Many OOH ads offer an online coupon code or drive customers to a website. If you make enough of an impact, people may also share your outdoor ad on social media. 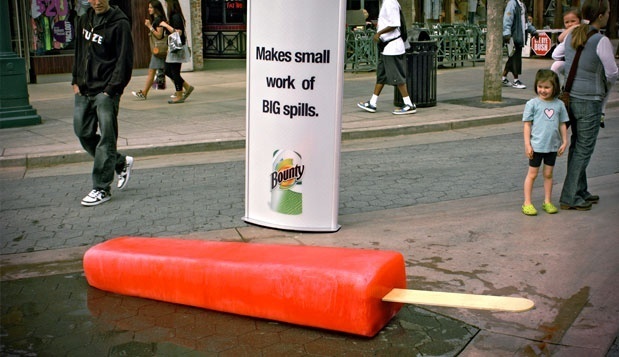 Your marketing shouldn’t end at the outdoor ad but connect to your other marketing efforts. As always, you want to know your target audience and the best ways to reach them. Take advantage of the new OOH advances, and all the data available to you.